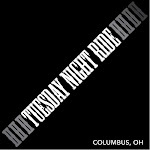 A renaissance in the bicycling scene in Columbus means cyclists and drivers are commuting together in greater numbers. The signs are on our roads in the form of miles of new bicycle lanes, city-built shelters and, soon, a bike-sharing program. But advocates for more and safer city cycling say an entire mindset needs to change before vehicles with two wheels and four wheels can travel together safely. Shawn Slivinski can’t remember the crash that changed his life. The manager for North Market coffee shop A Touch of Earth knows he set out on his bike in late April 2012 to run a work errand. He knows he left the market heading down Park Street. He was not wearing a helmet—odd, he says, because he almost always wore one. But what happened next remains a blank chapter in his mind, even a year later. Slivinski has gleaned all the details he can from police reports and family: The driver of a Jeep parked on the side of the street opened his door, just two blocks into Slivinski’s trip. There was no time to swerve. Slivinski hit the door, flipped over it and landed on the street. His head struck the pavement. His brain swelled around two skull fractures. He needed surgery after the ventilator helping him breathe caused his lung to collapse. There were broken ribs. Failed kidneys that required dialysis. Some Columbus-area intersections have a greater incidence of bicycle accidents than others—with the long-stretching High Street leading the pack with 33 crashes in 2011 alone. This north-south corridor running from Downtown to Worthington is one of several areas targeted in the city’s 20-year bike plan that will add bike lanes and sharrows, among other plans, to parts of the street. Officials say they are aware of the problem areas. Below are the top bicycle crash locations in Central Ohio from 2006 to 2010. After a month in the intensive care unit and another two weeks in the hospital, Slivinski spent two months at rehabilitation centers, regaining his strength and learning how to walk again. It’s hard to picture that frail image now as he sits at home nearly fully recovered. The only visible signs of the accident are a few scars on his thin frame and an occasional struggle to remember words. He hasn’t been able to return to work, living on disability since the accident. Other people might have given up bicycling, but Slivinski plans to ride again soon. Motivated by his own struggle, he wants to dedicate his time to making Columbus more bike friendly.